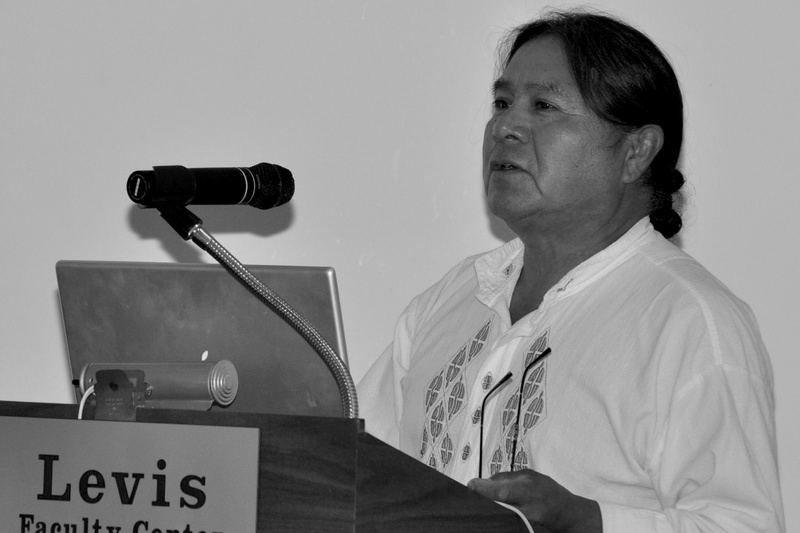 On September 9, 2010, Victor Masayesva, Jr. from the village of Hotevilla screened a short film and gave a presentation at the University of Illinois at Urbana-Champaign. Masayesva’s visit was part of a university sponsored initiative titled “Sovereignty and Autonomy in the Western Hemisphere: National & Regional Struggles for Power, Identity and Space.” The American Indian Studies Program organized the event. Masayesva is known throughout the world as an accomplished Hopi photographer and filmmaker. Some of his award winning films include Hopiit, Itam Hakim Hopiit, Ritual Clowns, Imagining Indians, and one of my favorites, Paatuwaqatsi: Water, Land & Life, a film on Hopi running, the sacredness of water, and Hopi relationship with the indigenous people of Mexico. In addition to directing films, Masayesva has published a book titled Husk of Time: The Photographs of Victor Masayesva with the University of Arizona Press. Interesting. Looking at the links in this post suggests that just “imagining Indians” in terms of the Hopi and what is presented on You Tube would be valuable to consider in future discussions on Beyond The Mesas. Good idea, Phil. There are many problematic films/videos on YouTube about the Hopi people. The one I’ve been meaning to blog about for a while now is the Gumby Rain Spirits video.